Original era publication. 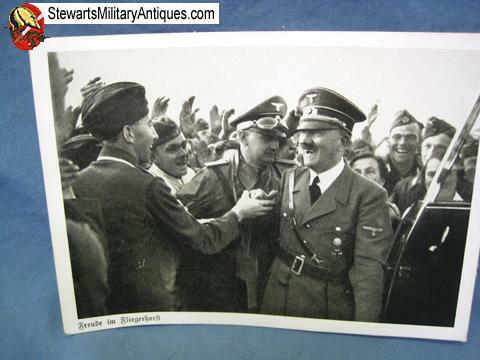 BW postcard depicting AH visiting a Luftwaffe unit. 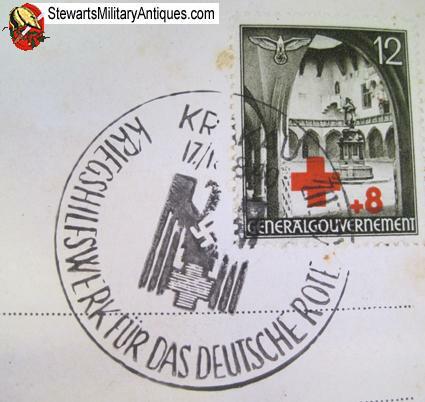 Nice Red Cross stamp and cancellation on the reverse. Slight bend in the body of the card next to Hitler.